LOL the switch to a sega logo NICE! Was the raccoon and blue jay a Regular Show reference? I was confused at first too, but they mean the people working at the stores, not the collar. What is the “N” on kade’s jacket for? It seems to appear magically after the first panel. No, it’s just only on one side of the jacket. And the “N” probably is for Nintendo. That’s Kevin’s jacket from Captain N, The Game Master. Hehe, he’s gone full Al Bundy, all he’s missing is a beer and a cigarette. Kade’s somewhat restricted, passive rage at the end is golden. I’m sure he speaks for most of us in regards to how we feel about the whole debacle. But, don’t they already have a working NES and practically every game for it? Depends on what you’re asking for. A working NES system that someone else owns it, is probably going to ask more than the price of the new NES system that doesn’t need any cartridges. But, what I see from this strip, Kade is trying to buy the new NES system. But I do see what you’re getting at, they should’ve own every game possible out there. Knowing Kade. He’s probably like a Tazmanian Devil or something just as feisty. Angry Video Game Taz… I can get behind that. No: Joueur du Grenier is Taz! Stick to Pokemon Sun & Moon, Kade. Oh my god, I love the Sonic collar. Sega is amazing, nice to see Kade converting for a short time. Sega needs more love as of recent. Love it! Though you know, knowing him, Kade already has every game that’s on the NES Mini for the original NES, so he doesn’t really need an NES Mini. No reason to get upset (not gonna complain if it means more Sonic collar though). Now I kind of want to see what the AVGN looks like in this universe, heh. I get the impression that if Kade knew I had 3 NES’s, a box full of functional games, and controllers, he may badger me to no end. Kade has an NES. He wants the recently produced NES that has HDMI output and a built in selection of games. Also, it’s really nice to know that it exists, even if I may never actually get one in the foreseeable future. Oh I love the spiteful switch to the Sonic collar at the end Come to the blue side! Right now, I’d say he really wants to play a Sega game just because it isn’t Nintendo. Nintendo REALLY loves artifical scarcity. It’s the first, second and third wave abiibos all over again and then some when it doesn’t benifit them at all. Second panel is my favorite. Bird is way bored with game nerds just now. Kade’s yelling in frustration in the last panel is also funny. AVGN would probably be like a badger or something in this universe. I’m not sure if the collar tag in the last panel is a jab at Sega, Sonic Team, or the Sonic franchise. I took it as a jab at Nintendo, it’s very easy to get fed up with the Church of Mario when they know it’s easy to cash in on their fan base. Right now, I’d say he really wants to play a Sega game just because it isn’t Nintendo. It’s a jab at Nintendo because he doesn’t want anything to do with them, so he switched his collar from Pokemon to Sonic. …wait, a Racoon and a Blue Jay? This is probably the most subtle Regular Show shout out I have seen, well done! Is the ringtone the LoZ item sound? That’s what I have playing in my head when I see it. 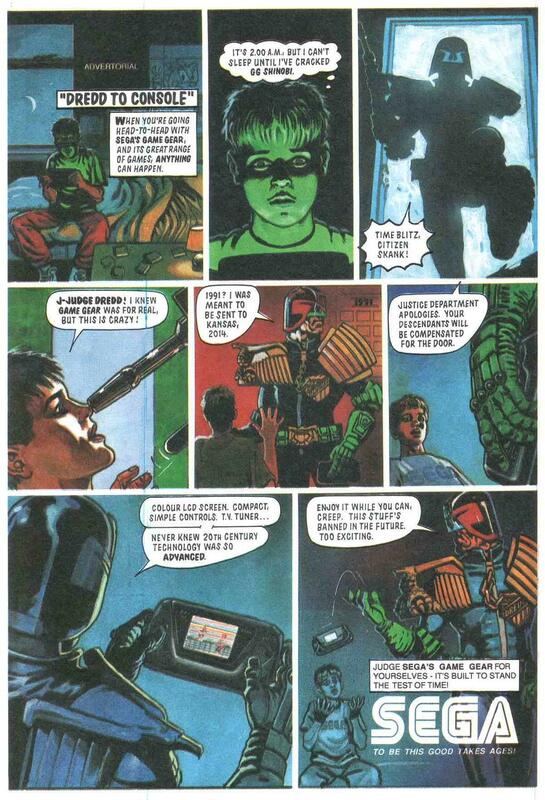 Haven’t they played on an NES earlier in the comic? Yes, but like most Nintendo fans I imagen he wanted the new classic edition added to his collection. Kade should check back at those places with a white gi and Ness carrying a boom box behind him. Ask once, “Do you have the NES Classic?” If the answer is no then Ness hits play and the resounding course of “SAGATA SANSHIRO! SEGATA SANSHIRO! SAGA SATURN-SHIRO!” Starts and Kade back flips everyone in the store into a pile in the middle. I now want to know what Segata would be in this universe. Omg, a AVGN ref. Thats too awesome. I love that guy. Barely noticed he switched to a Sega collar. You’d think Kade would already have a NES with all 30 of those games that come with it already tho?